The “jam” is always a competition of smiles ! Take a look at this after hours scene caught on board a barge moored on the embankment of the Rhône. The Mexican-born American bassist did not come to play a bit part. 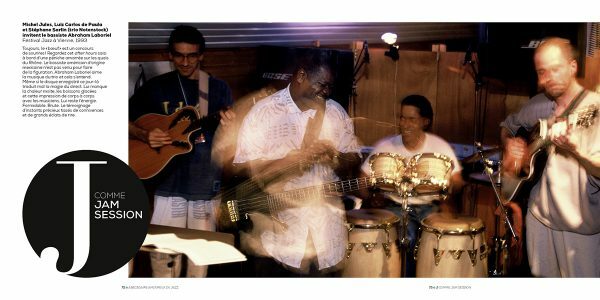 Abraham Laboriel likes trio music, and you can hear it. Even if the CD recorded on that particular day does not convey the magic of the live performance very well. It lacks the sweaty heat, the iced drinks, and the impression of hand-to-hand contact with the musicians. The energy is still there. Tremendous. Raw. Bearing witness to precious moments woven together with complicity and great outbursts of laughter.